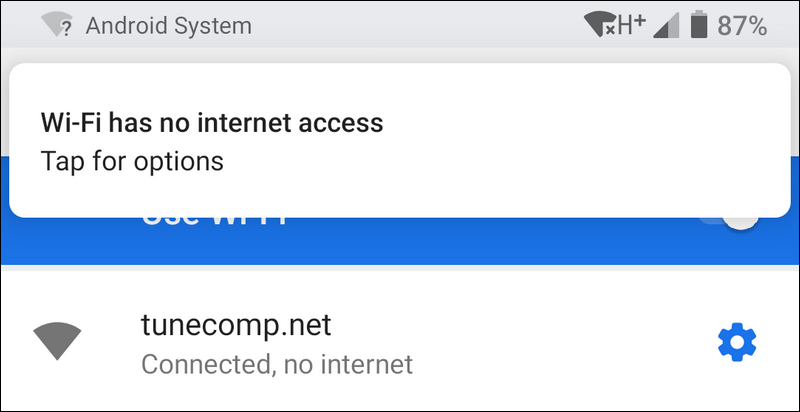 WiFi Connected But No Internet Access – How to Fix? Connected (No internet, secured) near WiFi network name or WiFi has no Internet access. 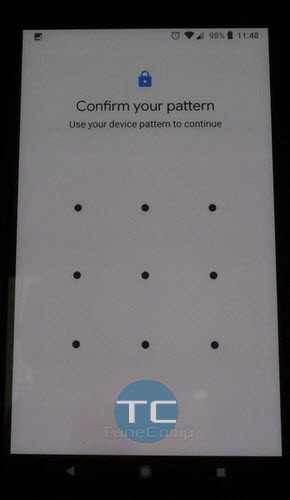 Tap for options in the notification panel on Android devices. a yellow triangle with the exclamation mark on the network icon on Windows machines. In this guide we collected all possible solutions that should help you fix the problem and get rid of No internet access error. We must admit that there is no nuclear solution to fix the problem in one click. That is why you have to try all methods listed below. Hopefully, one of them will work in your case. Do not skip steps and you will hopefully find out why you have WiFi connected but no Internet. Connected, No Internet under my WiFi network name. What does it mean? 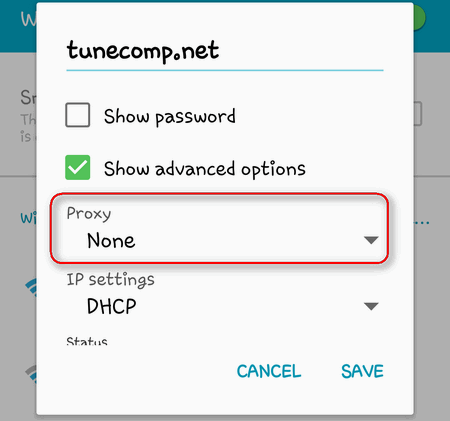 Basically “No Internet” error means that your WiFi capable client device (such as an Android phone or a computer running Windows) has successfully connected to your WiFi router, obtained a local IP address (for example, 192.168.0.101) but there is something that prevents it from connecting to Internet over WiFi (to WAN over the LAN in other words). In most cases you can even gain access to other machines and devices on the local network, such as laptop, TV, NAS, watch films, view photos and listen to music from shared folders but you can’t open neither a website in a browser nor use apps like YouTube or Skype that require a permanent Internet link. Many of you may say “haha! the gateway address is missing or incorrect! That’s why you have WiFi connected but no Internet access!”. But the things are not that easy. In a few minutes after you begin troubleshooting you will convince yourself that your phone, Windows PC, router and even the Ethernet cables can be the culprit. This doesn’t mean you should surrender and call the tech guy from your ISP to fix your trouble with Internet access. We advise that you first read this article and try our tips before you call them. Maybe you will be able to restore your connection with the global web over WiFi by yourself. We arranged our tips in a convenient order – from more frequent and easy to apply to more complicated and less frequently happening. This should make all steps logical and help us first eliminate minor issues and then proceed to troubleshooting of more serious problems with the network access and Internet connection. If the cable is not connected to Internet (WAN) port you will have working WiFi but no Internet access. Ensure your Ethernet cable is well-attached and the connector is not broken. Replace the patch cord is it is damaged. As a result your laptop or PC connects to wifi hotspot but there is no internet on it. Also check: have you paid for your Internet? Log in to your client area at your ISP’s website and ensure you have enough money on your account. Contact ISP support if necessary. Log in to the router’s web interface and reboot it to exclude the accidental glitch. Besides that, you can power cycle the router by its “Power” button or by simply disconnecting its power supply from the outlet. A simple reboot is often a good fix to many WiFi problems and weird glitches. 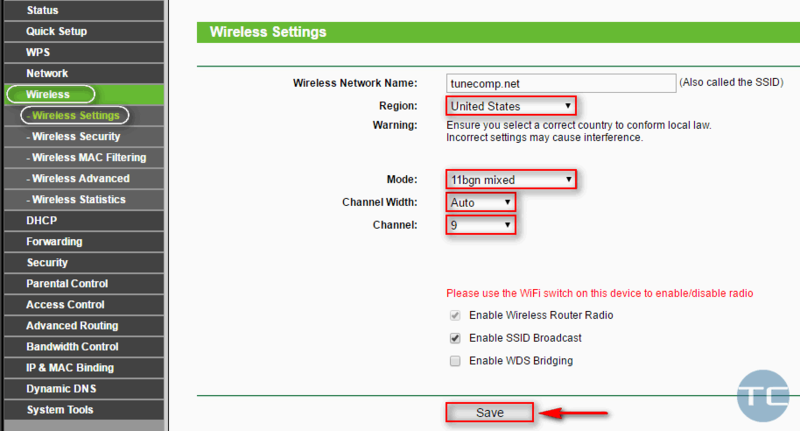 Read this guide if you cannot access the router settings page. 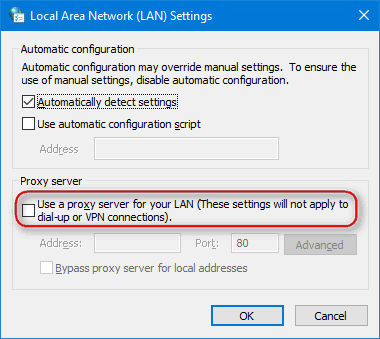 You will find a lot of tips how to find out the router IP and finally do it. 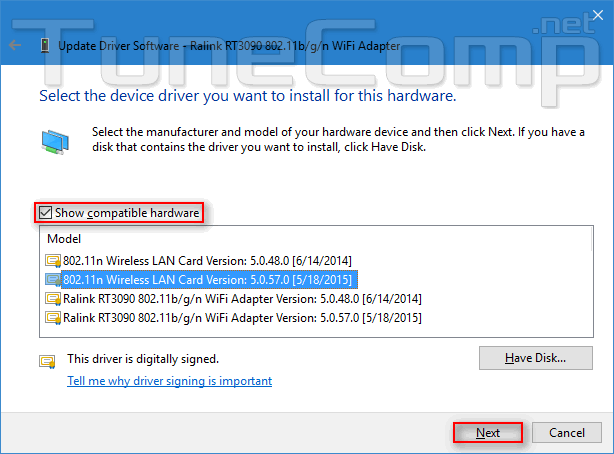 disable its Firewall (or Network Shield) component. 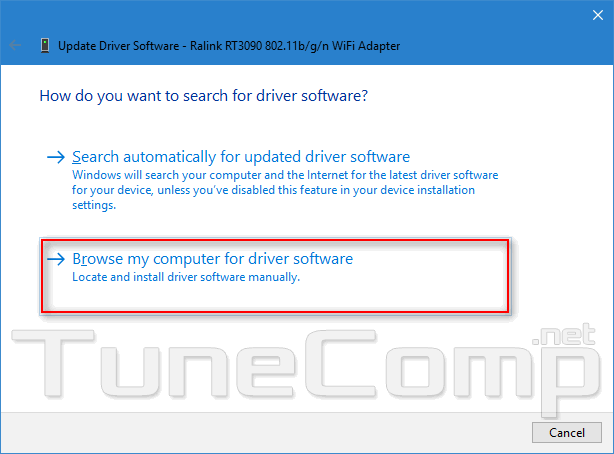 Go to Network settings > change adapter options > right click WiFi > uncheck the driver of your antivirus. 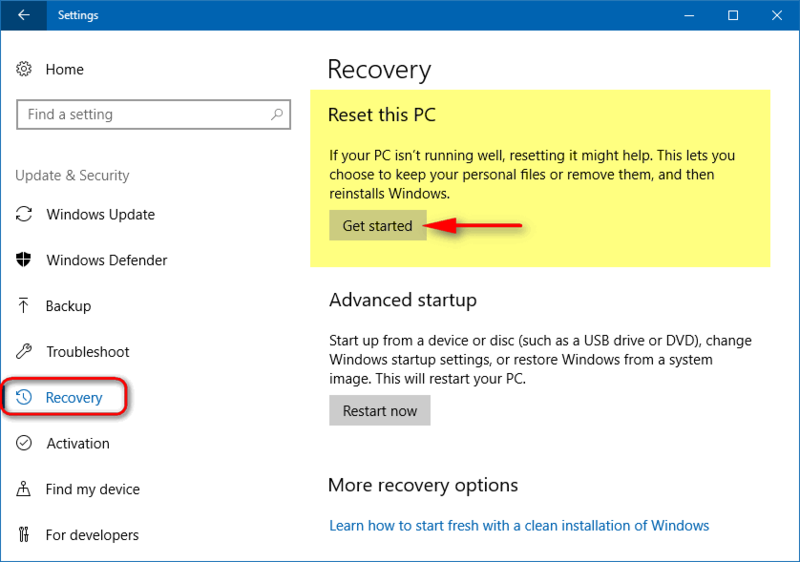 Disabling your antivirus is not a fix itself. But if the Internet connected after you turned your antivirus program you can now think how to cope with problem. 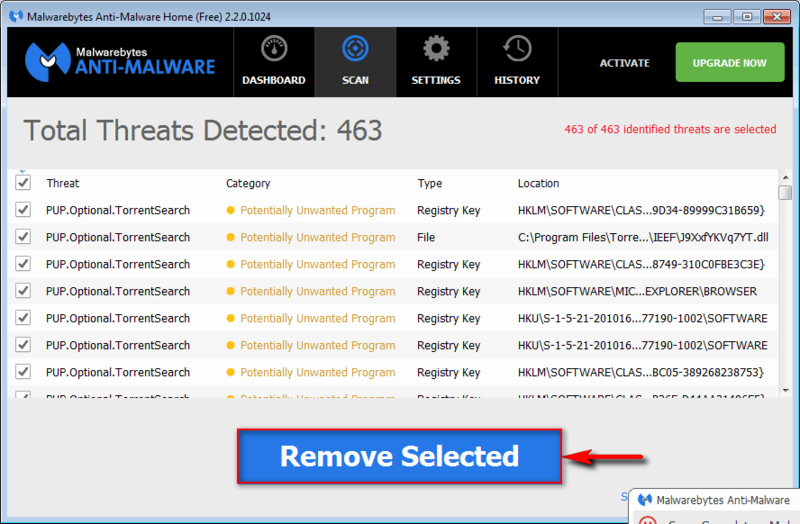 For example, disable the firewall component. 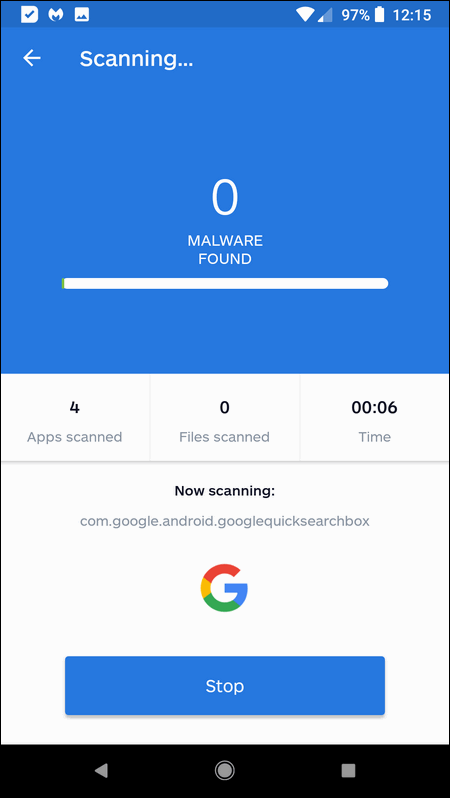 We have never met such situations on Android, but you can also try to uninstall the anti-virus app on your mobile device to ensure it is not the culprit. 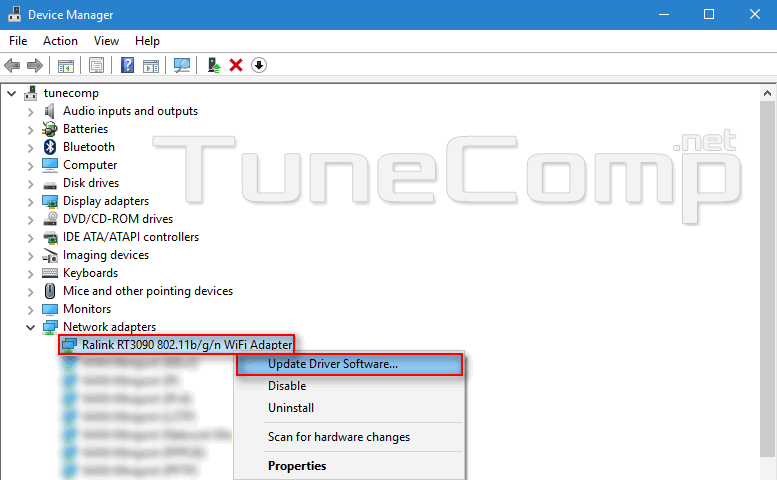 Take into account that if you select 802.11 n only mode on your router old client devices (like old laptops, smartphones and tablets which don’t support N standard) will discover but won’t connect to your WiFi hotspot. The same applies to the 5 gigahertz range. 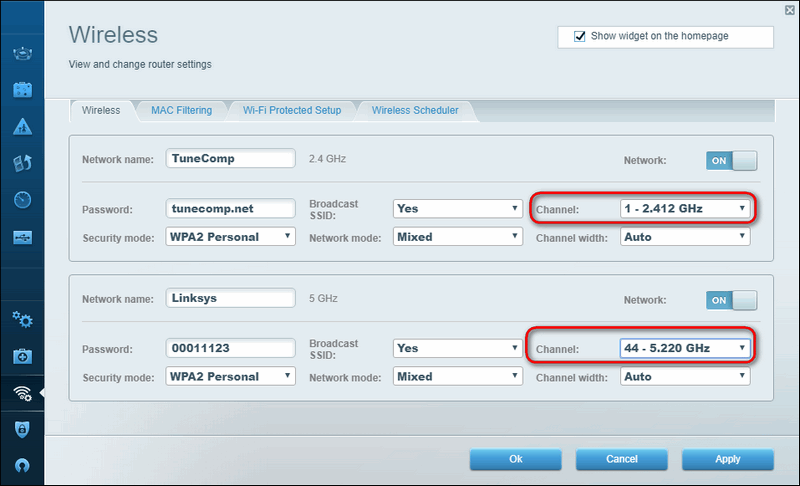 Select a/n/ac/ax mixed mode and reconnect your client device. 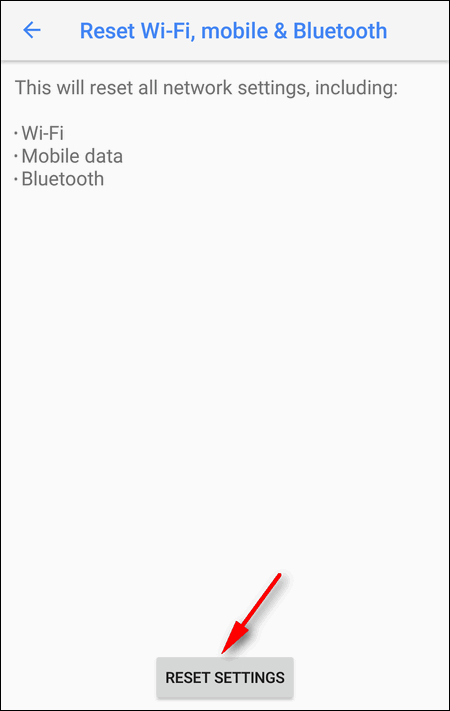 Don’t forget to save settings! you can connect to WiFi but there is no internet. 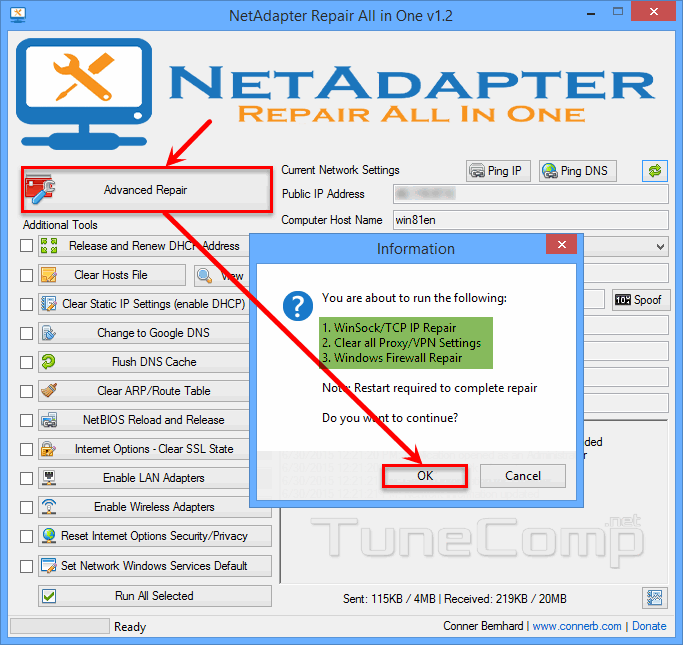 Download Net adapter Repair All in One utility. 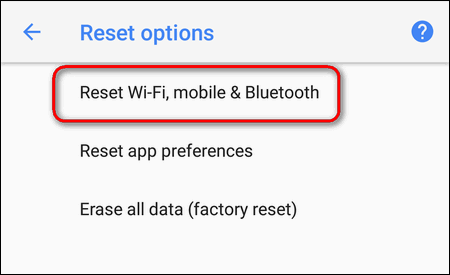 These steps can often fix the network glitch on your Android device causing the frustrating situation when your phone is connected to WiFi but can’t reach the web. 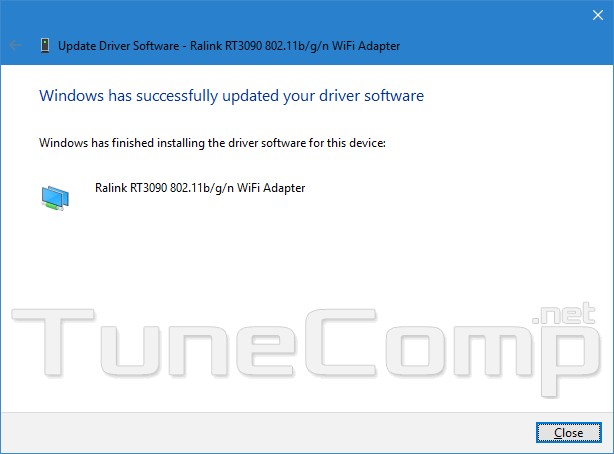 You should try to update your Wireless Adapter Driver. 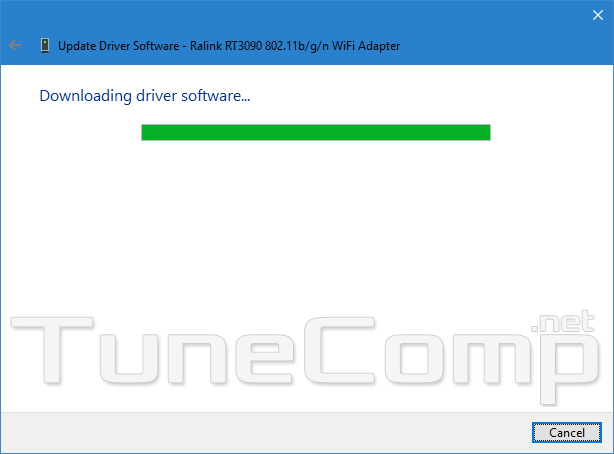 It it a high probability that it will fix problems with your wireless adapter and you will hopefully get your PC connected to Internet over WiFi. 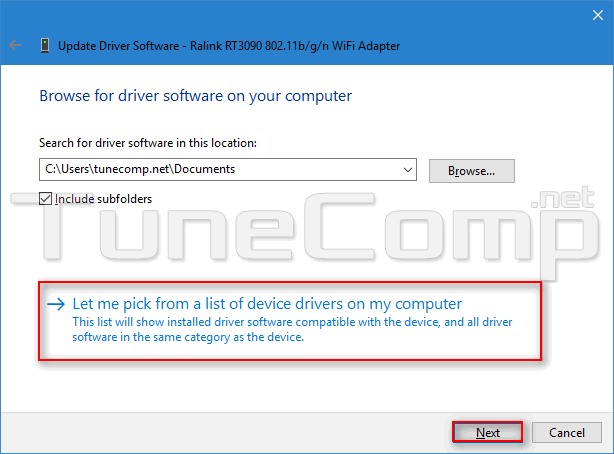 b) If this did not solve your problem with Internet connection, try to install a different driver compatible with your Wireless Network Adapter. Unsure you set the checkbox Show compatible hardware. Select the driver that you want to try. Perhaps, this is the last solution to fix problems related to WiFi and Internet access. In the conclusion, we’d like to say the following. Unfortunately we can’t test out the troubleshooting guide on every phone or laptop model that ever existed. That’s why it is very important that you share your experience in the comments. Please, tell us which solutions worked for you and fixed the problem with Internet access over WiFi connection on your particular device or wireless module. Maybe the method you describe will help somebody with the same piece of hardware. Thank you and good luck! After installing my Avg antivirus I was able to connect to the internet again. 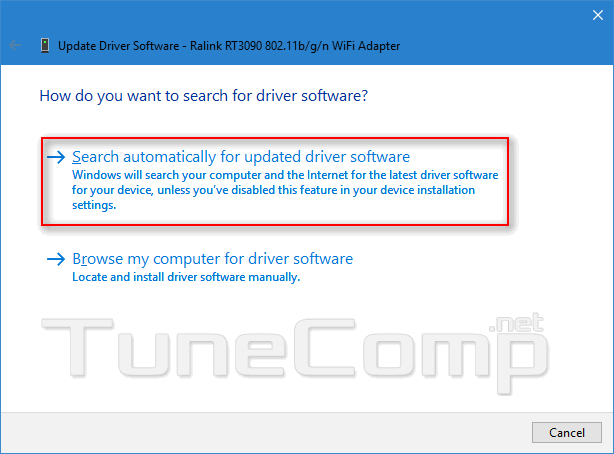 If there’s no internet access, how the hell are you supposed to update the drivers? In many cases it is possible to use a wired connection – connect your laptop to a router using a patch cord. 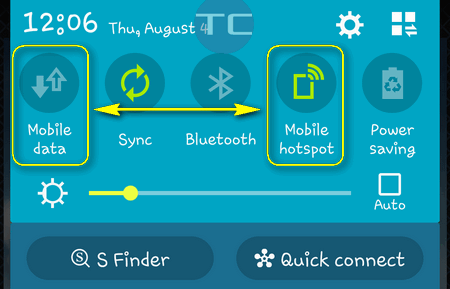 I tried every ways and I even reset my phone but I still cannot connect to Internet , what can I do ?? I’m very surprised, guys. 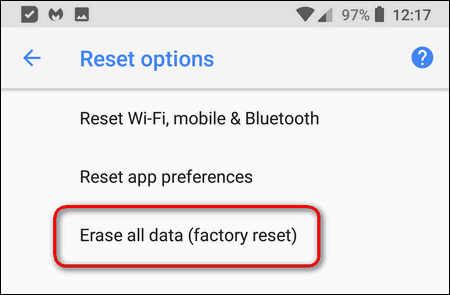 Resetting network settings seems to have fixed my problem on Android! Respect! Thank you! At least one solution worked! I managed to fix “Internet may not be available, Connect to another network” on my Galaxy S8! Thank you!